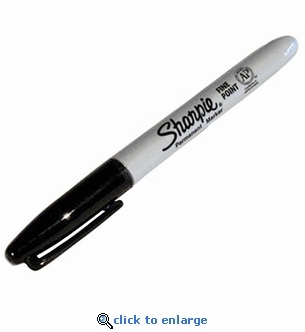 Sharpie® fine point permanent markers can write on almost any surface, are water and fade resistant, making them essential for EMS and CERT kits. Sharpie markers are the industry standard for use in the field by emergency professionals everywhere. These quick-drying markers are made with a certified AP non-toxic formula.